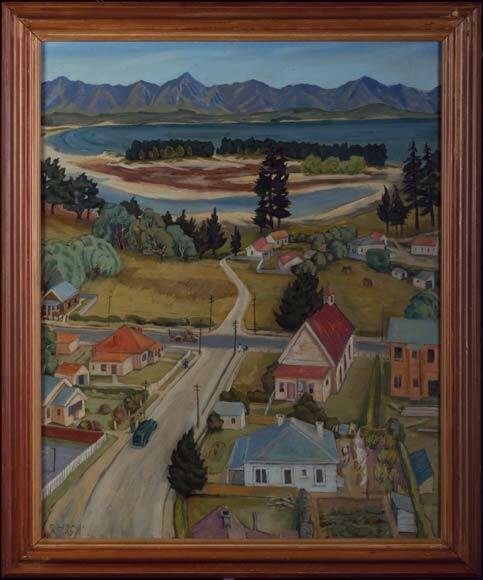 In 1947, when Doris Lusk painted the suburb of Tāhunanui, it was a semi-rural holiday spot. Tāhunanui was promoted as a residential subdivision and beach resort from the 1920s and became very popular over summer. Today the flat areas are heavily built-up with housing, although the holiday park remains amongst trees behind the beach. By 1987 the campground had a capacity of 4,500 people. In the 2000s it was still one of the largest in the country.